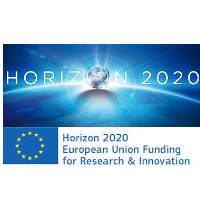 The European Commission has launched a consultation for the Joint Undertakings operating under Horizon 2020. The outcome of this public consultation will provide input to the currently ongoing interim evaluation of the JUs, covering the same period. The results of the interim evaluation will be used as a basis to improve the performance of the JUs and will be communicated to the European Parliament and the Council, national authorities, the research community and other stakeholders. This questionnaire consists of six parts and it will take around 20 minutes to respond. The Joint Undertakings (JUs) are formalised public-private partnerships involving companies at the European level. The JUs were first set up in 2007 under the Seventh Framework Programme (referred to as 'FP7') in five strategic areas: aeronautics and air transport, health, fuel cell and hydrogen technologies, embedded computing systems and nanoelectronics. The JUs bring together industry, the research community, in some cases Member States, regulators and the EU to define and implement common research agendas and invest in large-scale multinational research activities. They are practical examples of the European Union's efforts towards strengthening its competitiveness through scientific excellence, industry led research, openness and innovation. The European Commission, as a co-founding member, was responsible for setting up the JUs. Once they had built up their legal and financial framework and demonstrated their capacity to manage their own budgets, the JUs were granted autonomy. The control over JUs is shared and the Commission has its own members in the Governing Board of each JU.